“I would rather that my life remain a tear and a smile. From A tear and a smile by Khalil Gibran. All portraits are from Pushkar in Rajasthan, Maha Kumbh at Allahabad, Varanasi and Himachal in India. To know more about these faces, my post on Faces of India – a wider perspective. Wonderful portraits Ritu – really terrific. 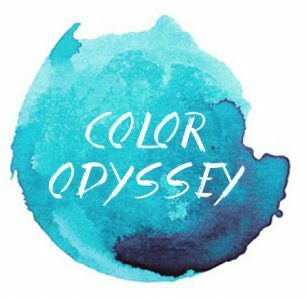 And certainly a Color Odyssey as well! A beautiful collection of images. Great viewing with the “on black” option. You have wonderful photos of people. The children are charming. Thanks 🙂 Glad you enjoyed my images! Gorgeous! Its funny, we have a draft with exactly the same title as this…faces in India lend themselves so beautifully to being captured on film. The people are really willing models too! heh he! 🙂 yeah and some of our image angles and colors and so similar. Awesome! Good to see the same place through someone else perspective! That is what India is… Very well captured. Wow amazing collection of pictures, thanks a lot for sharing this. These pictures perfectly shows different colors of India and the innocence and simplicity which people posses . Wherever we go we can easily see and relate to people and places shown in these pictures, this is something which people who are living abroad miss, probably that is. Great shots.. Many innocent faces.